Hay Bro Sis...MotoGP rider list for next season come back renewed. This is due to the confirmation of the Marc VDS team that officially has recruited Moto2 world champion in 2014, namely Tito Rabat. Tito Rabat with the official entry list of riders in MotoGP for the next season, we can be sure there is a change in the composition while MotoGP in 2016. Esteve 'Tito' Rabat Bergada is the birth of Barcelona, ​​Spain. Racers by age 26 years, debuting with the Honda RC213V belonging Marc VDS team, when the drivers tested the Michelin tires in Aragon, last week. Until now own, there are still some teams that have not set a rider for his team. 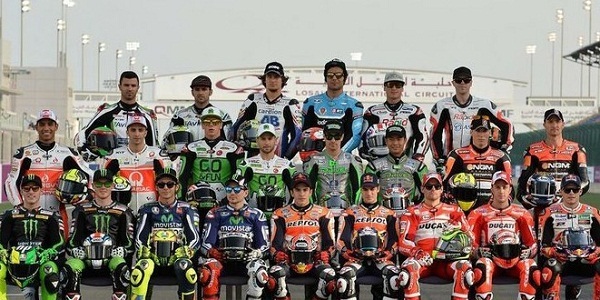 While there are also riders who do not know his fate in the next season. Here dish list while MotoGP 2016 may change at any time. Karel Abraham (still linked his future hanging in AB Motoracing). Tips Dan Cara Membersihkan AC Mobil Avanza, Yuk Dibaca! Being this the concept of the Mazda RX - 9 ? Pull VW Polo Hatchback 389 units in India , Why ? Car Nicknamed Baby this stretcher F1 Technology ! This She Nomination Best Car Se - East Asia, Wow!